A flaky, itchy scalp with dandruff can be uncomfortable and embarrassing. 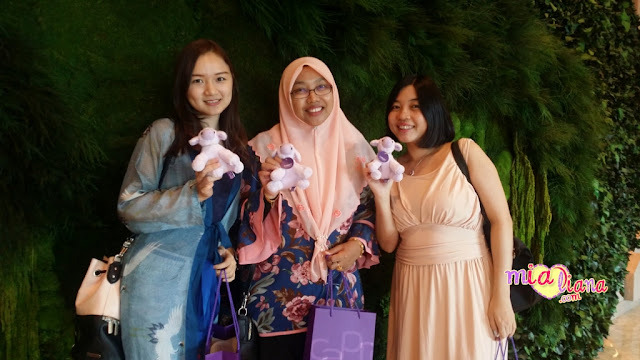 CLEAR knows how this can be a knock to anyone’s confidence, and the same applies to the hijabsters who often face scalp and hair challenges due to the year-long hot weather in Malaysia. Hijabsters who wear thick and unbreathable hijabs for long hours are more prone to scalp problems such as sweaty scalp, itchy scalp and even dandruff. It is extremely important to take extra measures to ensure the hair and scalp stay fresh and healthy, because having healthy hair is a confidence booster for women. Introducing the new CLEAR Superfresh Apple, a new anti-dandruff shampoo enriched with Nutrium 10 technology and fresh apple fragrance. CLEAR’s Nutrium 10 contains a blend of nutrients, vitamins and minerals to nourish the scalp for continuous protection against dandruff* and stop recurring dandruff*. The Superfresh Apple also gives women long-lasting apple fragrance up to 24 hours^, keeping their hair smelling like fresh apple all day long. Phoenix Ho, Marketing Manager, Total Hair, Unilever (Malaysia) Holdings Sdn. Bhd. said, “As one of the leading scalp care experts, CLEAR aims to provide hair and scalp care solutions that address more than just the symptoms of dandruff; but also nourish one’s scalp and hair from the root to the tip, as well as help preventing dandruff from recurring*. At CLEAR, we understand there is no one-size-fits-all approach for scalp care, hence we have customized formulations to meet different hair and scalp needs. “We believe that dandruff does not only impact a free-hair woman’s confidence, but also affects the hijabsters. We want our consumers to feel confident and beautiful wherever they are, because having healthy scalp and fresh hair instantly boosts their mood and self-esteem. It is vital for women particularly hijabsters to have a good scalp care shampoo to keep them looking chic and sleek throughout the day, especially with the hot weather we have to endure. 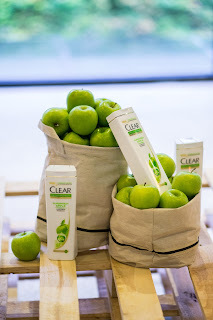 Designed specifically to cater to hijabster’ hair needs, CLEAR offers a solution to scalp care as well as 3 times freshness** – zero dandruff*, zero grease`, zero itch#,, with long-lasting apple fragrance. With CLEAR Superfresh Apple, you can flaunt your clean and fresh hair with confidence!” added Phoenix. CLEAR Superfresh Apple 340ml bottle is priced at RM19.50; and the new variant is now available in all leading supermarkets, hypermarkets, pharmacies, and authorised resellers nationwide. CLEAR is Unilever’s leading anti-dandruff shampoo brand. Since its first launch in 1972, in Asia the CLEAR formulation has continuously evolved with intensive research and clinical trials conducted by scientists at the CLEAR Paris Institute. Recognizing the different needs of male and female scalps, CLEAR scientists have developed the first-ever break-through dual gender scalp nourishment formula. With a constant focus on leading edge technology, CLEAR is pegged as the world’s leading scalp care shampoo and marks its strong foothold in 35 markets. ** Refers to 3 freshness benefits: zero dandruff, zero grease and zero itch.